In just one click – Clone Dynamics CRM data from any OOB or Custom Entity to another including its related child records! In every business, there is a critical need to continuously automate to improve the efficiency and effectiveness of the process. Also, there is a never-ending innovation that takes place in every sector. Similarly at Inogic Innovation has no boundaries. 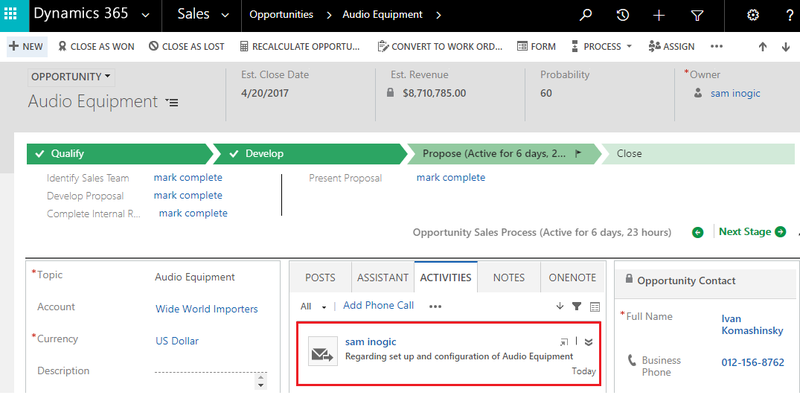 In our last post, you must have read about the New Release of our Click2Clone solution for Dynamics 365 CRM. Of the many new enhancements lets today look at one such much-awaited feature that has redefined the cloning process and will help to change the definition of cloning in today’s era. Let’s explore the working of this new feature with an example. For cloning one entity to another entity record you need to create Click2Clone template. Here let’s take an example of Cloning details along with the relationships of an Opportunity entity on the Project entity. You need to create the Opportunity to Project Template to configure the opportunity and project entity with the solution. To clone the details of relationship including the related child records you need to create the child template. Here we have created the Child template to clone the details of Email record from opportunity to Project record. Once you have saved this template you will be able to create and clone all the selected details along with the relationships from Opportunity to Project. This new feature will help you to create all together the new entity which otherwise would have taken a long time to create manually. This works for both OOB as well as custom entities. Click2Clone supports all Dynamics CRM deployment models; On-Premises, Partner-Hosted and Online starting CRM 2013. Take a free trial from our website to evaluate our new feature and test your business needs. Please feel free to mail us at crm@inogic.com in case you need any assistance in understanding the functionalities/features of the solution.